Outrageous Interiors is Atlanta’s go-to source for inspiring design. We specialize in home furnishings, including furniture, wall decor, lamps, rugs, and accessories. Visit one of our four showrooms to start creating your beautiful space. We offer complimentary design services as well. Outrageous Interiors has evolved in the past 28 years out of our passion for all things beautiful for your home. With four locations, we are the go-to source for inspiring design in metro Atlanta, and throughout the southeast. Our remarkable selection of furniture and accessories makes it easy to furnish the home of your dreams. We offer today’s traditional, casual contemporary, French country, or cottage style furnishings, paired with our amazing art, lighting, rugs, and accessories, in each of our stores. Our ever-changing selection is always inspiring! Together, Kurt and Patti Gosch personally select items they feel will enhance the lives of their clients, through making their spaces for living more beautiful. They have traveled throughout the United States, as well as abroad to bring you unique objects that offer a timeless appeal, but reflect the current trends. 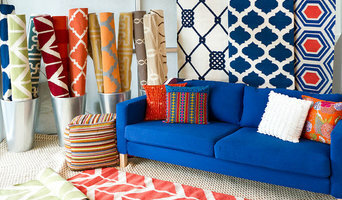 We are excited to begin our Outrageous Interiors online store. Our hope is that our online shoppers will experience the same excitement that our retail customers have come to enjoy and expect. We hope to add more beauty and joy to our clients lives through our beautiful products. Let us help you re-invigorate your home through Outrageous Interiors amazing collection of stylish furniture and accent pieces. At Edenton Designs, we design unique Industrial Lighting and Live Edge Tables . We are fully customizable to suit your vision and your space. Specializing in high quality Live Edge wood furniture and Industrial Lighting chandeliers. The furniture we craft is truly unique and one-of-a-kind. If you are searching for furniture that has a special touch you definitely came to the right place. 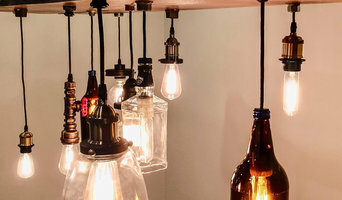 At Edenton Designs, we specialize in Industrial Lighting unique chandeliers & tables, handmade, live edge, industrial and rustic modern designs that will fit in today’s home or business décor. The furniture we craft is truly unique and one-of-a-kind. If you are searching for custom furniture that has a special touch you definitely came to the right place. The furniture we craft is truly unique and one of a kind. If you are searching for custom furniture that has a special touch you definitely came to the right place. Surya is the premier one-stop source for coordinating home accessories for a broad range of lifestyles and budgets. An expert at translating the latest apparel and interior design trends, Surya artfully combines color, pattern and texture to offer more than 60,000 fashion-forward products, including rugs, pillows, throws, wall decor, accent furniture, lighting, decorative accents, and bedding. The brand also provides innovative display, merchandising and training solutions to support retailers in successfully promoting and selling home accessories. Surya has showrooms in Atlanta, Chicago, Dallas, High Point, Mexico City, New Delhi, and Toronto. To learn more, visit www.surya.com. Direct Furniture has been the premiere showcase for affordably priced modern furniture since 2004. We are a locally owned and family operated company with a strong commitment to providing our customers with excellence in service and design. Our goal is to help customers push the envelope in designing their living spaces by expanding their design perspective and incorporating unique and unexpected new pieces into their existing furniture and design aesthetic. Creating timeless decor and unique accessories for your home. Follow us for the latest hand-picked recommendations of the best product designs from Ballard Designs. McKenzie Interior Design offers a full range of home and business design options, and we pride ourselves in taking your project from inception to completion. With his corporate background as a CEO of a Berkshire Hathaway company, Steve brings his expert eye to your project from overarching goals to the minute details. Having always been in design, first with Sherwin Williams creating paint palettes for geographic regions to product design with Lee Wards and then Larson Juhl picture framing, Steve is also an accomplished artist, specializing in abstract expressionism and loves to use vintage ephemera in his paintings to tell the story. His artwork is the jumping off point for his fabric line, capturing the painterly quality via digital printing. Since 1996, No Mas! has been creating custom furnishings to the trade and retail from the talents of over 300 artisans throughout Mexico. Designers can enjoy a vast showroom of available products in our Atlanta showroom or create something from their own ideas. We have grown from working with designers, architects and homeowners on projects spanning residential, spas, restaurants and hotels. SOU is a modern furniture design & fabrication studio located intown Atlanta, GA. Our focus is home decor & commercial environment design. We specialize in combining a sustainable "smart manufacturing" process with traditional craftsmanship. Reclaimed by Demant is Atlanta's Danish Custom Furniture Professional. We design and build high quality metal and wood furniture and decor for both residential and commercial clients in the south. 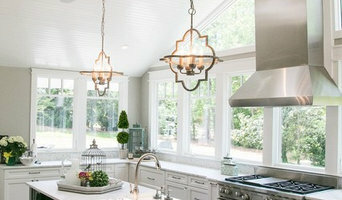 Atlanta Lifestyles is a full service interior design Firm and Custom Workroom. Which houses a full staff to take any project to completion. 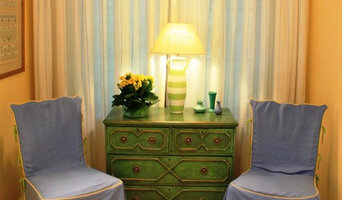 We offer custom furniture and lighting for residential and commercial spaces. Our showroom is located in Alpharetta, GA, and we service all areas in GA. We also offer project management for your project needs. Start your research right here on Houzz. Read through professionals’ profile pages to find out important details, like how long a manufacturer has been in business. Look at reviews by design professionals and find out which furniture makers offer the best customer service. Are you looking for condo-size furnishings or working with an oddly shaped room? Necessity is the mother of invention, so opt for a custom piece made by an experienced Georgia furniture maker. Here are some related professionals and vendors to complement the work of furniture & accessories: Interior Designers & Decorators, Artists & Artisans, Kids & Nursery, Closet Designers and Professional Organizers, Bedding & Bath. Take your time on any buying decisions. If contemporary is your style, don’t buy something traditional because it’s on sale. Many Georgia home furnishers offer interior design consultations or room planning guides to get you started. Whether you decide to work with a home decor specialist or to become your own expert, it’s important not to rush the furniture-buying process. Visit plenty of Panthersville, GA showrooms and stores so you can feel comfortable with your purchase. Find furniture and accessories manufacturers, showrooms and retailers on Houzz. Narrow your search in the Professionals section of the website to Panthersville, GA furniture and accessories, then choose the nearest metro area for showrooms and retailers. Or you may want to look through Georgia photos to find designs you like and contact the furniture manufacturers and showroom galleries directly.